In its yet another regional event, VARINDIA organized its 6th edition of Odisha Information Technology Fair - OITF 2014 on 28th January, 2014 in the Hotel Mayfair, Bhubaneswar, Odisha. 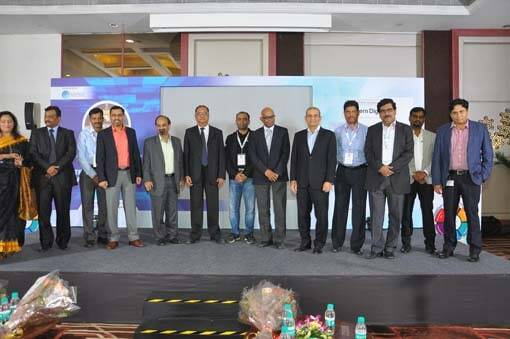 The Fair was attended by around 200 CXOs from the corporate world (large and small companies in Odisha) where the IT industry showcased various solutions and technologies. The invitees to the event included various IT honchos, industry leaders, VARs and senior officials from the healthcare and education sectors. The event witnessed the presence of Hon’ble Chief Guest, Shri Surya Narayan Patro, Minister of Revenue & Disaster Management, Government of Odisha. Other guests who graced the occasion were Prof. Ashok Kumar Mahapatra, Director, AIIMS, Bhubaneswar; Dr B. K. Ray, Registrar, IIT, Bhubaneswar; Shri Manash Ranjan Panda, Addl. Director, STPI, Government of India; Mr Aditya Mohapatra, OSD, OCAC; Mr A. K. Sahoo, CEO, Ozone Pharmaceuticals Ltd.; Mr B. Hari, President, CIITA; Mr A. K. Mohanty, M.D., Tatwa Technologies; Mr Arun Kumar Dey, President, ITAO; Mr Sushan Aich, Cloud Solutions Sales Lead, Microsoft Corporation; Mr Neeraj Sharma, Marketing Manager – OIS, Canon India; Mr Manoj Khadkikar, Head of Channel Solutions, Zicom Electronics; Mr Nishant Verma, Country Manager, Win Magic; and Mr Sujoy Kr. Basu, Country Manager – Operations, Consumer Printing, HP PPS CSS India. In his inaugural address, Prof. A. K. Mahapatra, Director, AIIMS, Bhubaneswar, spoke about the technology modernization and infrastructure development inside the campus to give various facilities to the patients by implementing Hospital Management Information System (HMIS) software and encouraged the local entrepreneurs to come out with the latest technology to help the growth process. Hon’ble Shri Surya Narayan Patro, Minister of Revenue & Disaster Management, Government of Odisha, spoke about how he and his colleagues were able to rise to the challenge posed by the Phailin disaster that had struck the state of Odisha recently. Being the Minister of Disaster Management, Shri Patro had directly taken care of the situation very swiftly. He also shared his views on how the Central and State Governments handled Phailin, which was praised not only in the country, but globally as well. It was a landmark success story in disaster management. 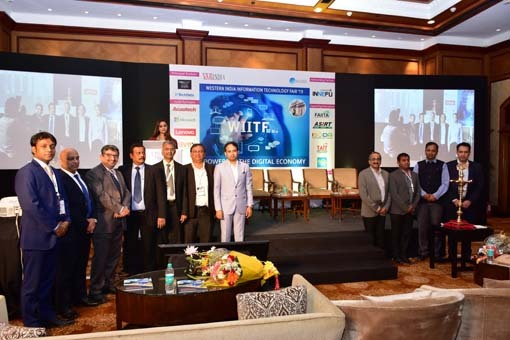 In the second session of OITF’14, various corporates including Microsoft, Canon and Zicom spoke about the importance of technology and solutions, emerging opportunities in software solutions, Document Management Solutions and Security as a Service. The third session was on Panel Discussion, which was moderated by Mr B. Hari, President, CIITA. The Panellists were from the VAR community, IT industry, IT Association and CEOs of various companies from India and abroad. The discussion not only set an example of a successful role model of active voice of VARs and corporate bodies in empowerment of the ICT business but also shared best practices and ways to overcome challenges including latest technology and delivery and the problems faced by the e-commerce portals mushrooming in the country, which is really a great challenge for the IT resellers community. The theme of the Panel Discussion was "Innovative Business for Emerging Opportunities". Best VAR, Odisha – Maple Computer & Communications Pvt. Ltd. Best Software Services, Odisha – CSM Technologies Pvt. 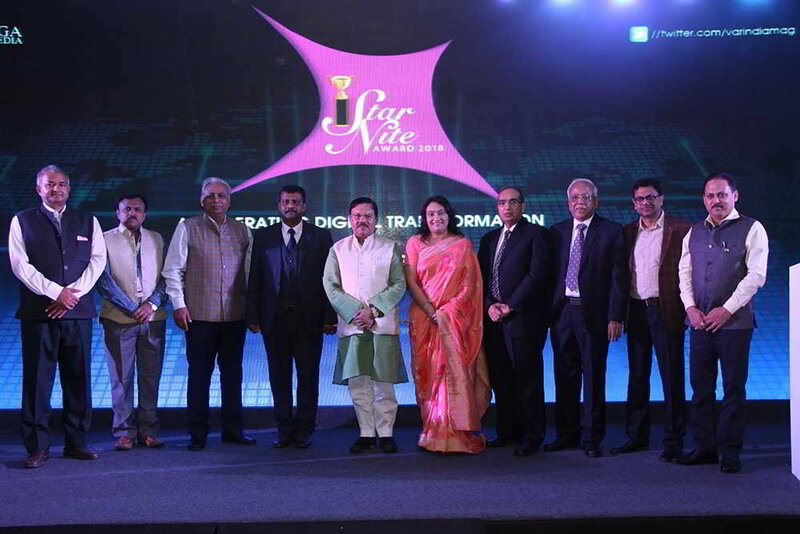 Ltd. Best Network Integrator, Odisha – Prinklink Computer & Communication Pvt. Ltd. Besr Reseller, Odisha – Infocare Solutions Pvt. Ltd. Best System Integrator, Odisha – E-Square Technologies Pvt. Ltd. Best Service Support, Odisha – HP India Sales Pvt. Ltd. The winners of the 4th VARINDIA CUP Cricket Tournament were also recognized. The cricket tournament was organized to bring forth the sporting talent of the IT corporates. 16 teams from various IT companies/organizations participated in the tournament which was held on 18th, 19th & 25th January, 2014. The final match of the tournament was held on 26th January at the Infosys Cricket Ground, Bhubaneswar. The runners-up team was Tatwa Information Technologies and the winner of the Champions Trophy was Infosys, Bhubaneswar.